Super photo, I love it! Thanks scuffer...I was pleased with it although there's about ten others of various poses. It was difficult to choose which one to post. Squirrel! He's coming in for a little snack. They are such cute little spazzes. Have a great week whatever you have planned have fun too! "Hmmm, let's see what Neesie is offering today." I actually took this photo when visiting my sister. He's a regular there but we haven't had any in our garden here. I'd adore getting a photo of a red squirrel but they're much rarer...but I'll keep trying to spot one. You're sure to hear about it if I do! Enjoy your week and make sure there's plenty of fun included. I hope your having a good start to the week and it continues. Thanks Tracy...I was there some time and have quite a few but the end result was certainly worth it! 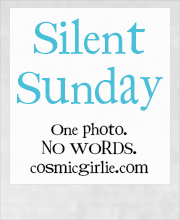 Thanks for hosting yet another week of Silent Sunday fun! 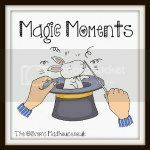 Well captured, they are such fun to watch. They are aren't they...but I just wish I could watch a red squirrel too. They're around here but I've yet to capture them on camera. I've only seen one from a distance run across a driveway at a National Trust Property. Seemed appropriate really, but I never had my camera ready. Story of the wildlife amateur photographer I suppose. I know Mo...I'd love to capture a red but no luck yet. I've only seen one from a distance but I'll keep looking. I hope your week has started well...enjoy! Have a great week whatever is on your plan. naughty squirrel! What a great shot though! Thanks for stopping by and leaving a comment...I appreciate it. I hope your week has started well....have fun! I got him big time...as I have about a dozen or so photo's of his antics. Have a great week and thanks for stopping by to comment. Thankfully my camera had quite a long lens so he was aware of me but not threatened. He's also a little cheeky chap so possibly wouldn't have moved anyway! great photo, I tried getting one like this before but then it spotted me and launched itself at me!